Since founding The Tutoring Solution in October 2010 we’ve worked with more than 400 students. We have awarded over 20 scholarships and have hired many talented tutors to guide and inspire our young students. As a result, we are looking to sell The Tutoring Solution. We want to sell it to someone who is as passionate about education as we were and continue to help students in the Inland Empire with their tutoring needs. If you know of anyone who would be interested in buying The Tutoring Solution and continue its legacy of helping students reach their academic goals, please contact Zeb Welborn at (909) 973-9089 or at Zeb@welbornmedia.com. PS – Thank you all for choosing The Tutoring Solution. We are proud of the time we spent educating, inspiring and working with students, teachers and parents in the Inland Empire for the past seven years. The Tutoring Solution provides tutoring for many residents of Eastvale and its surrounding areas. Currently, over half of our students are in the Eastvale area. We have strong ties with the Roosevelt Football and Basketball programs and have worked with several teachers and counselors at Roosevelt High School as well. As a former resident, I know that Eastvale is growing at a rapid rate and it is an area with a thriving youth population. 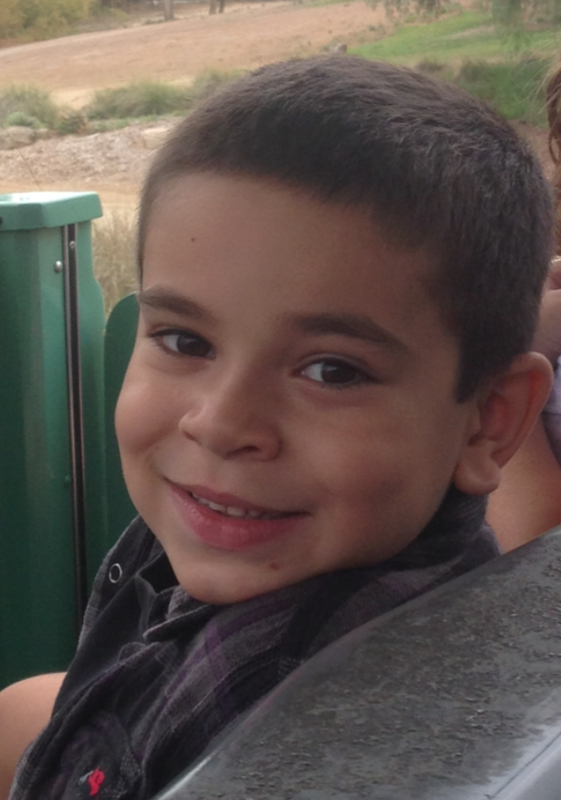 The Tutoring Solution’s October 2014 Student of the Month, Nicholas Celella. The Tutoring Solution has been working hard and will continue to do so to ensure that the Eastvale students that sign up with The Tutoring Solution improve their educational abilities. 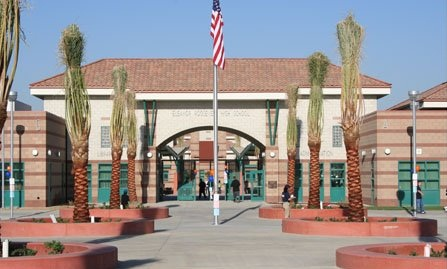 Eleanor Roosevelt High School, River Heights Intermediate School and Eastvale Elementary schools are the main schools in the area. We currently have a variety of students getting tutored from Roosevelt High School in Geometry, Algebra, Algebra II, Chemistry, AP Chemistry, Calculus, English, Literature, Spanish, and much more. We are also tutoring students that are struggling with reading, writing, and math from Eastvale Elementary School. Every month we also select a Student of the Month; we select a student that has been working hard to improve academically and who continues to show a desire to learn. Since we have so many wonderful students to pick from, we have decided to create a Student of the Year Scholarship Award. We are committed to providing tutoring that suits your needs. We have qualified tutors that can work around your schedule to conduct tutoring in the subjects you need, at the times you need, in your home or any other convenient locations. We have some tutors that actually reside in the Eastvale area. To learn more about our highly qualified tutors, click on the links. If you are interested in receiving tutoring from The Tutoring Solution, please contact our Director, Cynthia De La Torre via phone at (909) 238 – 8233 or via email at Cynthia@TheCaTutoringSolution.com or thetutoringsolution@gmail.com to set up your first appointment. To learn more about us and read some Recommendations, click on the link. TRY US OUT FOR FREE. If, after the first hour of tutoring, you are not satisfied with the session, you will not be charged for that first hour of tutoring. The Tutoring Solution provides tutoring throughout all of Corona and the surrounding areas. 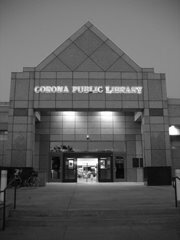 The residents of Corona make up the majority of our students. We have had a lot of success in the area, working with students of all levels and backgrounds. We have provided Chemistry tutoring for IB students at Centennial High School. We have also provided tutoring in regular Chemistry, Algebra, Geometry, English, Reading, Writing, among many other subjects. We have been lucky enough to get to know many of the residents in the area, including a few high school counselors. The residents have accepted us with arms wide open after seeing the great impact we have had on the students in their community. 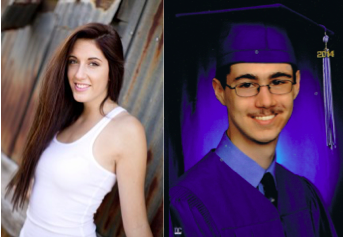 (On the Left) our November 2013 Student of the Month, Dana Puhl, and (on the right) our July 2014 Student of the Month, James Heinssen, both receive tutoring in Corona. We love being able to help students achieve their goals and dreams, that’s why we offer the Share Your Passion Scholarship to students in Corona and the surrounding areas. To read some of the essay entries we have received in the past, please click on the link. We will be posting more information on this year’s scholarships in the near future, so be sure to check back frequently and to sign up for our newsletter. Our mission is to provide quality tutoring that suits your needs. We have experienced tutors, some of which reside in the Corona area, who work with students of all abilities and age groups. We have the flexibility to come to your home, meet at a public place or perform online tutoring. To learn more about our highly qualified tutors, click on the links. 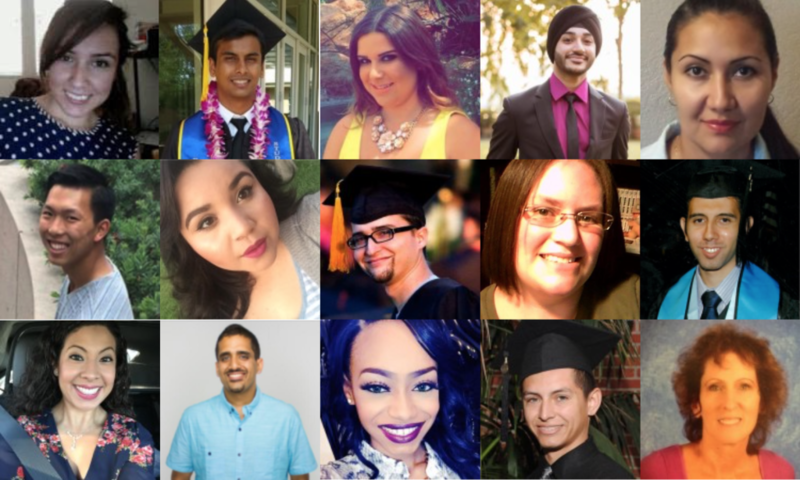 The first student we ever began tutoring, at the Tutoring Solution, was a student that attended Norco High School. It has been a long time since that first tutoring session. The Tutoring Solution has come a long way. Since then, we have been able to develop a strong relationship with the residents of Norco and the surrounding areas. We are always looking for ways to contribute to our community. We believe that the best contribution we can make is by making the students in our community feel confident about their own abilities and eventual become successful at doing what they love. Highland, Norco, George Washington, Riverview, and Sierra Vista are the main Elementary Schools in the area. Norco Intermediate School is the main Junior High School. John F. Kennedy and Norco are the local High Schools. 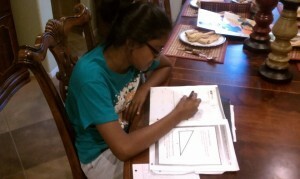 While tutoring in Norco, we have worked with students of all ages and in all backgrounds. We have helped students from Geometry, to Literature, Calculus, Chemistry, English, Spanish, and much more. We have had the pleasure of seeing many of them improve greatly. These students have shown us how intelligent and motivated they are and they have been a pleasure to work with. Our mission is to provide tutoring that suits your needs. We have experienced tutors, some of which reside in the Norco area, who work with students of all abilities and age groups. We have the flexibility to come to your home, meet at a public place or perform online tutoring. To learn more about our highly qualified tutors, click on the link. TRY US OUT FOR FREE. If after the first hour of tutoring you are not satisfied with the session, you will not be charged for that first hour of tutoring. 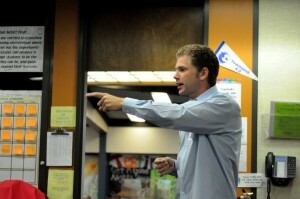 The Tutoring Solution’s main headquarters is in Chino Hills. As a resident of Chino Hills for over 30 years, I understand the local environment and the needs of students trying to succeed in academics. 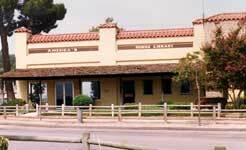 Chino Hills has been well-known for the excellent schools that are found in the area and it is highly competitive for students to do well in the classroom. Ruben S. Ayala High School and Chino Hills High School are the two local High Schools. Townsend Jr. High and Canyon Hills Junior High School feed into those High Schools. And Butterfield Ranch, Chaparral, Country Springs, Eagle Canyon, Gerald F. Litel, Glenmeade, Hidden Trails, Michael G. Wickman, Oak Ridge and Rolling Ridge are the local Elementary Schools. The Tutoring Solution has, and will continue to provide exceptional tutoring for students who decide to sign up with us. We have had numerous students, from the previously mentioned schools, enroll with us. We have tutored students from preschool to the 12th grade, including some college students. It is our desire to see students improve and to develop a love of learning that will last a lifetime. While working with some of our Chino/Chino Hills students, we have been able to see great improvements. They have proven to be wonderful, hard-working, and bright students to work with. The students below have been selected as our Students of the Month. Since we have so many wonderful students to pick from, we have decided to create a Student of the Year Scholarship Award. The Tutoring Solution’s Students of the Month, from left to right: Brianna Pell (January 2013), Brianna Viles (February 2013), Dillon Tomicic (March 2013), Tannon Snow (April 2013), Warren Huang (June 2014), and Ava Cornell (September 2014). 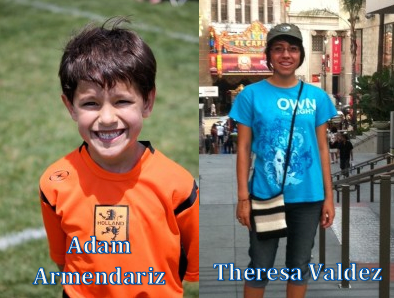 Other Chino Hills Students of the Month not pictured are: Ethan D. (March 2014), Jessica Congleton (April 2014), and Khari Angel (August 2014). Our mission is to provide tutoring that suits your needs. We have experienced tutors, some of which reside in the Chino/Chino Hills area, who work with students of all abilities and age groups. We have the flexibility to come to your home, meet at a public place or perform online tutoring. To learn more about our highly qualified tutors, click on the links. Collin Miller, Principal of Sparks Middle School in La Puente, invited me to speak to his middle school students during career day at his school. I titled my presentation, Doing What You Love, in order to show students that now is the most opportune time in the history of mankind to pursue your passion. The Internet and social media has provided such an amazing opportunity for people of all ages to pursue their passions and turn their passion into financial success. During the day, I spoke about The Tutoring Solution and my Internet marketing business, Welborn Social Media, my core values, about myself, what I do on a daily basis and offered my advice for them. The atmosphere at the school was amazing. The students were all excited to see the speakers at career day . . . and many students came dressed in business attire. The school even had teachers who donated ties for students who wanted to wear a tie. I was amazed at the behavior of the students and their eagerness to absorb the information I was able to give them. I also shared with them the blog-based learning program we developed last year. The blog-based learning program is designed to encourage passionate students to use their passsions as a tool to learn valuable life-long learning skills. These skills can be applied to any job they have in the future and aims to help them get more excited about their education. If any of you are interested in giving your child the opportunity to pursue his/her passions I encourage you to check out our Blog-Based Learning Program. 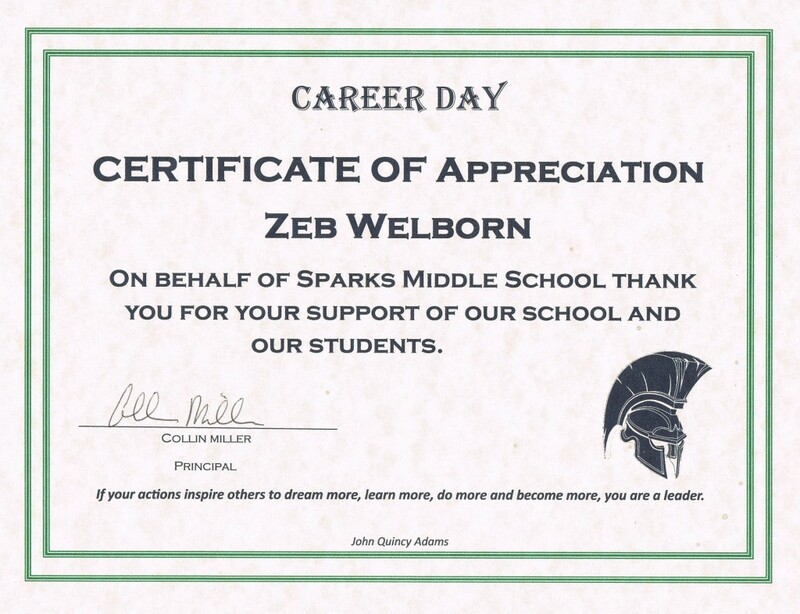 I loved participating in career day at Sparks Middle School and would love the opportunity to share what I’ve experienced with others. If anyone is interested in having me share my knowledge with students at their school . . . or with business professionals looking to market their business online I’d be happy to speak with them. The Tutoring Solution offers scholarships and tutors students all over Southern California. We tutor students in La Puente, Walnut, Rowland Heights, Hacienda Heights, West Covina, Diamond Bar, Pomona, Chino Hills and Covina. Call Director Cynthia De La Torre at (909) 238 – 8233 to sign up for tutoring. 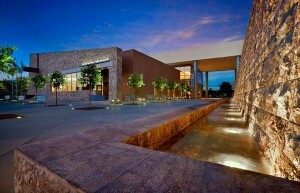 Stephenie Perera attends Roosevelt High School in Eastvale, CA. Stephenie began receiving tutoring from The Tutoring Solution last year. She was struggling in her Algebra class and needed help bringing up her grade. When we started working with her Stephenie said she “hated” math . . . This year, Stephenie received an A in her Algebra class. Because of our success in Algebra during the regular school year, Stephenie’s mom, Sriyani has asked me to work with her to improve her grades in her other classes. As a result, I will be implementing a new learning strategy which I’m calling Blog-Based Learning. The goal of blog-based learning is to make learning fun and encourage students to mold, enhance and develop their own learning through the use of a blog. Stephenie’s parents were thrilled she received an A in her Algebra class and are excited about the new learning program we have designed specifically for Stephenie . . . Check back frequently for updates on Stephenie’s progress throughout the Summer and next school year. What do you want to be when you grow up? Seems like an easy question to answer . . . but throughout Elementary, Junior High and High School I never knew the answer. It changed over the years . . . at times it was a lawyer like my grandfather, other times it was a reporter like my dad, sometimes it was a professional baseball player and sometimes it was the President of the United States. But the truth is . . . I never knew what I wanted to be when I grew up, and after 4 years of college, 4 years of teaching High School History and one year of self discovery, I finally figured out what I wanted to be when I grew up. I quit teaching High School and started The Tutoring Solution six months later. I loved teaching, but felt I was not making the type of impact I wanted to while working as a teacher. I know I influenced some lives for the better, but I also knew that there was no way to reach every student. Every day I would work with 165 students. Some I helped . . . and some . . . I never could. I began tutoring one student, I enjoyed it so much I decided to make a business out of it – and that’s when The Tutoring Solution was born. I began thinking of ways to promote my tutoring services to my community so I started a website. After launching my website, I assumed thousands of people would flock to my webpage to see what I had to say. When that didn’t happen, I knew I had to do more than just sit and wait. So I continued to learn how to use the Internet to promote my tutoring services to my customers. That is when I discovered blogging. After beginning my blog I became excited and motivated and I knew what I wanted to do for the rest of my life . . . My fire had been lit. Our current educational system treats children as if they are an empty bucket and the goal is to fill that bucket to the brim. Education should not be conducted in such a manner . . . learning should be fun . . . learning should be inspired . . . and learning should be something that students want to do over and over again. Education should be focused on inspiring passion and direction and then using that passion to teach fundamental skills. Instead of filling a bucket, I want to light the fire of the students I teach. 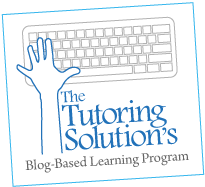 It is with that in mind that I have created The Tutoring Solution’s Blog-Based Learning Program. 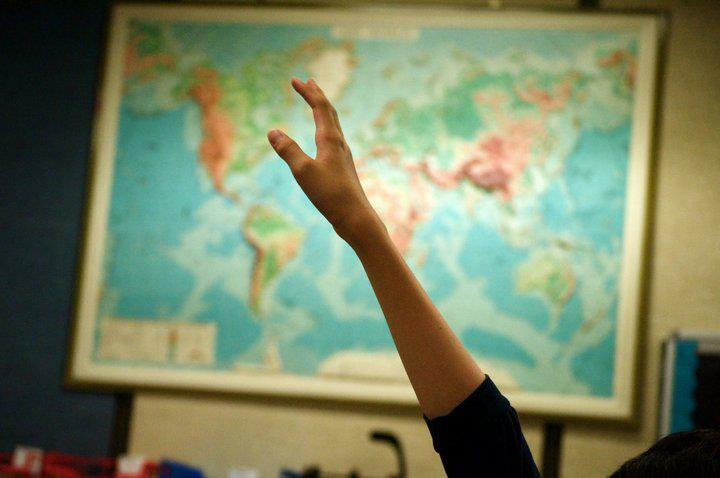 Through our blog-based learning program we hope to inspire students to excel in school . . . and not just do it because they have to or their parents want them to . . . but because they themselves want to. We want to inspire a new breed of student . . . a student who loves school and who loves learning. We feel that it is these students that will be the most prepared for life. We have begun our blog-based learning program with our first student, Stephenie Perera. 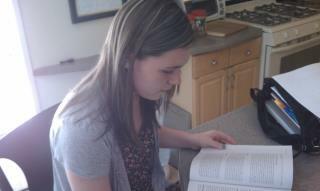 Stephenie has already begun the Blog-Based Learning Program – she has started blogging on her own site – StephenietheGreat. Follow along with Stephenie and I this Summer, as we both keep you updated on our progress. If you would like your son or daughter to take part in our blog-based learning program feel free to contact The Tutoring Solution at (909) 238 – 8233 today! Paige Quijano was struggling in her United States History AP class this year and needed help. Paige attends Chino Hills High School in Chino Hills, CA. We worked with Paige twice a week and helped to bring up her United States History grade and helped to prepare her for the United States History AP exam. We’d like to thank Paige and her mom Patty for giving us the opportunity to help Paige improve in her United States History AP class. If you need help with United States History AP or any other Elementary, Jr. High, or High School subject, contact The Tutoring Solution today! 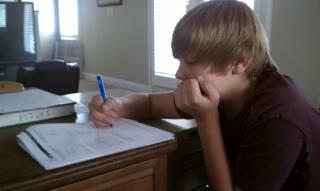 I began tutoring Connor last Summer. Connor was struggling in 7th Grade Algebra and Reading Comprehension. His mom was hoping I could help him improve for the upcoming school year. Thank you Susan & Connor Winkler for choosing The Tutoring Solution . . . We look forward to resuming your tutoring when the new school year begins.